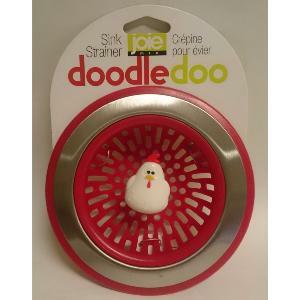 This Doodle Doo Sink Strainer helps keep the drains clean. Works in any standard size kitchen sink basket. Not dishwasher safe. Measures approx 4.5" wide on the top of the stainer and depth is 1.2"